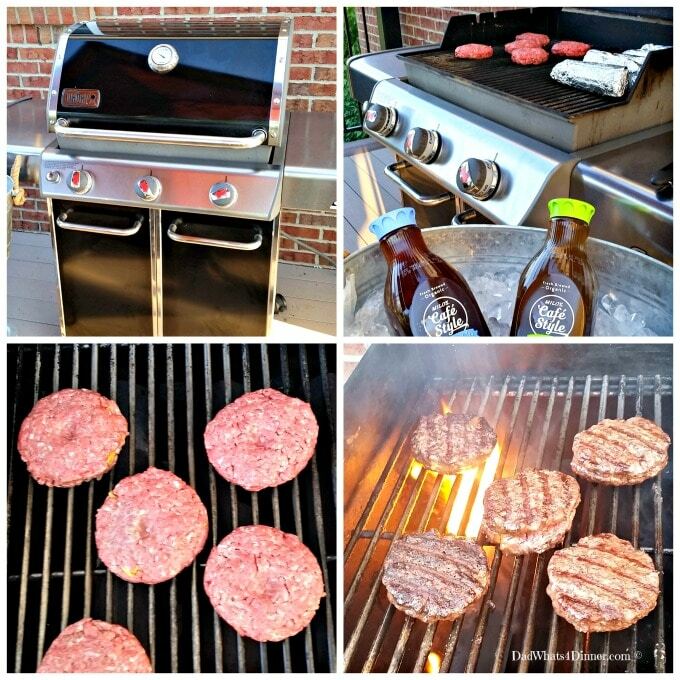 Summer grilling season is in full swing and my Best Memorial Day Hamburgers plus Grill Cleaning Guide is all you need to keep the family fed and happy. Since Memorial Day is this weekend and many part-time BBQ chefs will be firing up their neglected grills for the first time since last fall. Like my grill, I suspect most of your grills are not in the best shape and need a little love. For #BBQWeek, I and some of my favorite bloggers have teamed up to bring you more than 20 recipes this week. 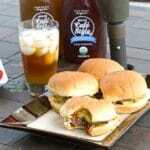 So let’s fire up the grill and serve up some burgers, steaks or chicken and some delicious sides, plus desserts! Follow #BBQWeek so you don’t miss one delicious recipe. 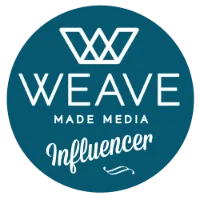 Check out these amazing bloggers. I cook outside most of the winter but the cleaning and care of my grill is not part of my cold weather routine. The performance of your grill can diminish over time if has not been maintained properly. Low temperatures, uneven heat, hot spots and food sticking to grates are all possible side effects of poor grill cleaning and maintenance. A clean grill is a happy grill. Wipe the outside of the grill lid with a paper towel and cleaner (glass cleaner for porcelain-coated lids and stainless steel cleaner for stainless steel lids). If your grill is stainless steel, you’ll get the best results by buffing with the grain, not against, using a microfiber towel. Clean side tables with a microfiber towel and stainless steel cleaner. Again, make sure to buff with the grain. If your tables are made of theromset plastic, use a mild dish detergent and warm water instead. Cleaning a cook box may seem tricky, but it’s actually extremely simple and can have a big impact on the way your grill performs. When your grill is completely cool, carefully remove your cooking grates and Flavorizer bars. Then, using a stainless steel grill brush, brush all excess grease and debris from inside the cook box into the bottom tray. From here, it will be easy to discard. It’s a good practice to burn off any food residue left on your grill by turning all your burners to high for 15 minutes before grilling. When your grill reaches these high temperatures, food debris will turn to ash, and will then be easy to brush off using a stainless steel bristle brush. Use an onion to clean and oil grill grates. Place 1 tbsp of oil in small bowl. Cut onion in half and soak cut side in oil. Use a fork to rub onion on grill grates. Cleans and oils the grates and adds a nice flavor. Bring marinated meat to room temperatures and pat dry before grilling. Excess marinade on meat will cause it to steam and not grill, even at high temperatures. Baste with sauce if needed. Place meat on a platter covered with plastic wrap before bringing to the grill. After placing meat on the grill, remove plastic wrap. You have a clean platter ready to serve cooked meats. Bring all meats to room temperature before grilling. Make sure your grill is hot before starting. KEEP THE LID CLOSED as much as possible to retain heat and create even cooking. Brush sauces containing sugar on the meat the last five minutes of cooking. Keeps the sauce from burning. Cook all meats to the proper temperature. Nothing ruins a party like under cooked meats. Check gas level before starting to grill. Keep and extra tank on hand. I have my grill hooked up to my homes natural gas so I never run out. Sear meat on high direct heat then finish cooking meat on indirect heat to ensure moist even cooking. How do you like your burger cooked: medium rare or well done? The trick to making my ultimate cheeseburger is to stuff the center with seasoned cheddar cheese. I start with 80/20 ground chuck for the correct fat content. For the cheese, I use a mix of mild and sharp cheddar and then toss the cheese with smoked paprika, garlic powder, onion powder and a little black pepper. Form the first 2.5-ounce patty then top with about 1.5 tablespoons of the cheese mixture. Top with another 2.5-ounce patty and press the edges together. Keep chilled before grilling. Do not salt the burgers until the patties are on the grill. Salt draws out moisture from the burger. 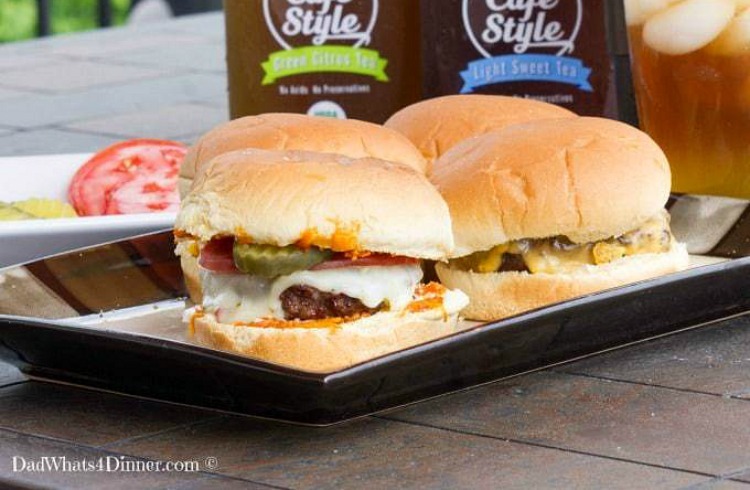 Place the burgers on your clean grill and cook until they reach your desired doneness. I topped mine with a slice of pepper jack cheese and the girls had another slice of cheddar on theirs. Top with a pickle and some mayo and you are all set. My taste testers really enjoyed their cheeseburgers. 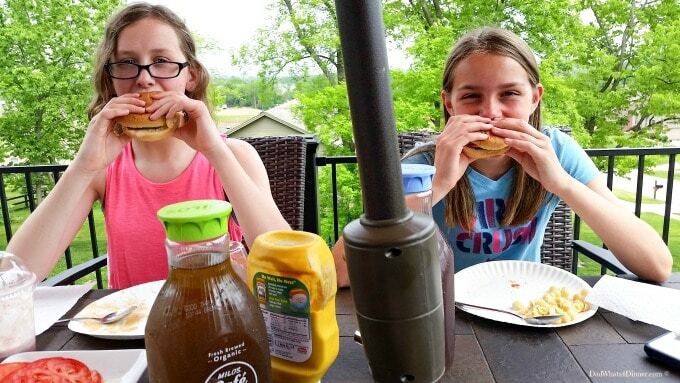 Summer grilling season is in full swing and my Best Memorial Day Hamburgers plus Grill Cleaning Guide is all you need to keep the family feed and happy. Weigh out the meat portions in 2.5 ounce balls. Grate the cheese and toss with the spices until all the powder sticks to the cheese. Form one ball into a patty. Top with 1.5 tablespoons of cheese mixture. 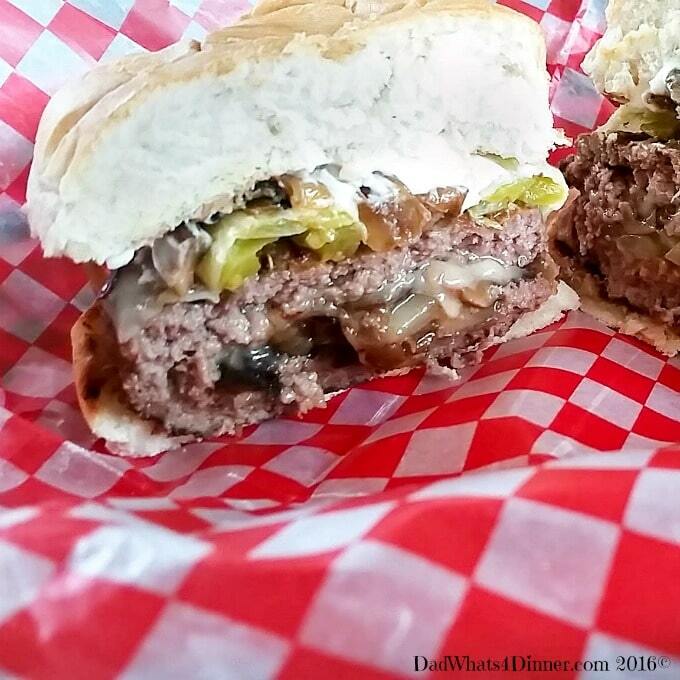 Top the cheese with another patty and press to form into one burger. Heat your clean grill on high. Place burger on grill over direct heat. Grill for 7 minutes per side or until the internal temperature reaches 155°F. 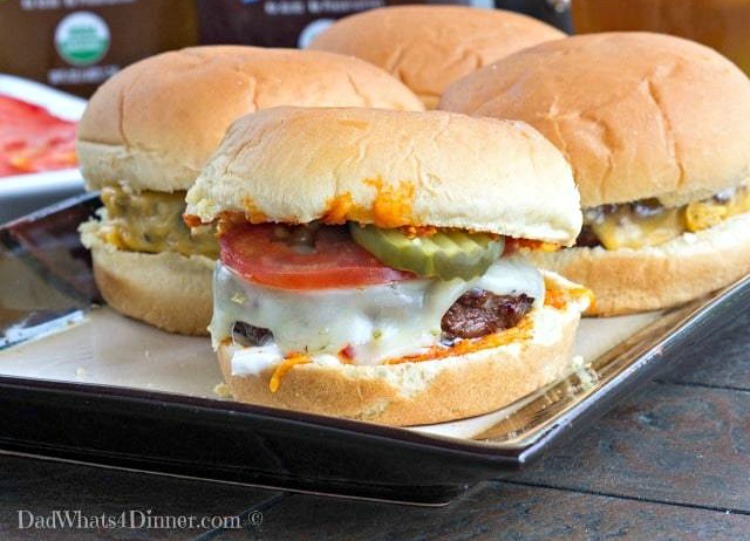 Top buns with some cheese blend and place on grill until cheese are melted. 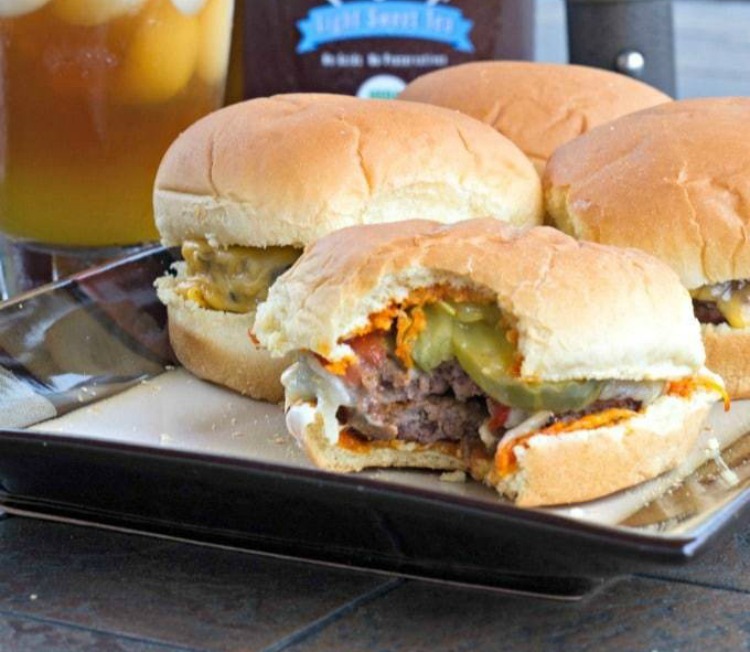 Place burger on a bun with mayo and a pickle. Great tips!!! I’ll take mine with no pickles and be right over! Yummo! Great roundup Quinn! Happy Memorial Day! Thanks, Quinn. Okay, I had never heard the cleaning the grill with an onion trick. Nice! Can’t wait to try it. 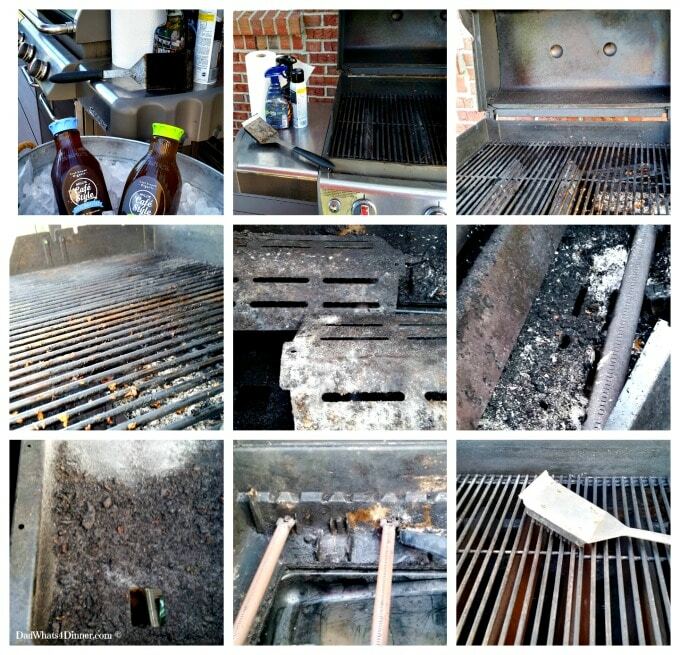 Definitely good ideas on cleaning a grill! We are slackers in this maintenance of our grill. It can really cause problems if you don’t keep it clean. Problems and money! Thanks for stopping by Christie! 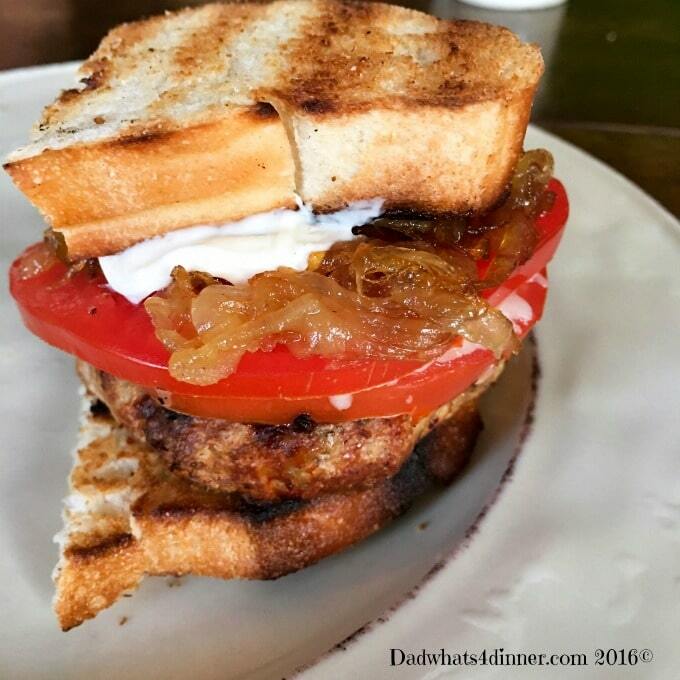 Burger looks great and I love the idea of cleaning the grill with an onion! It is important to take care of your grill. These are all good tips and I am loving the burgers too! Love the grill cleaning tips, especially the onion one! It adds great flavor and cleans off all those little bits and the dust from scraping the grill.